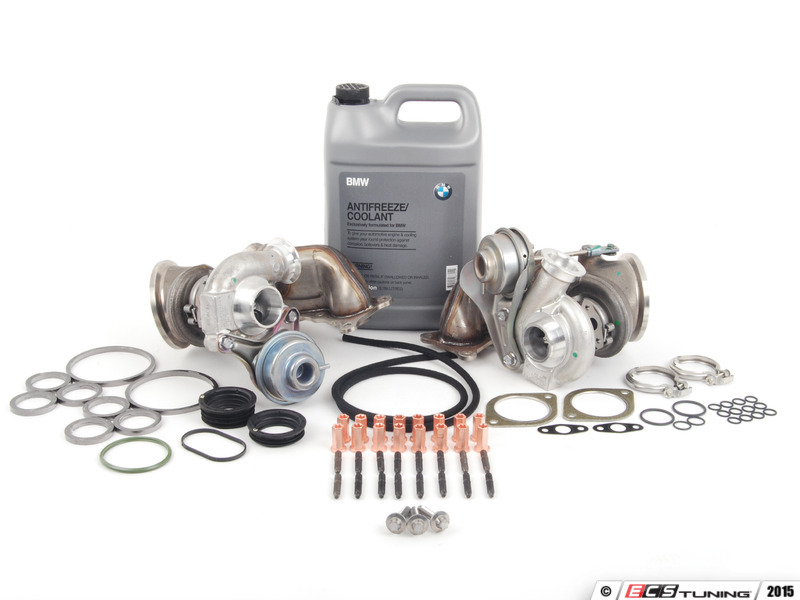 The N54 has was used in a wide range of BMW’s starting in 2006 with the 335i. In 2007 it was used in the 135i and 535i. Later in 2008 it was introduced in the X6 xDrive35i and again in 2009 on the Z4 sDrive35i. While the engine is well known for making good reliable power from it’s turbos at low RPM, it is not without it’s faults. As these cars have aged and fallen out of warranty we’ve seen that the internal wastegate design on this engine results in what we would call a premature failure. An internal wastegate is a built-in bypass valve and passage within the turbocharger housing which allows excess boost pressure to dump into the downstream exhaust. A pressure signal from the intake manifold is used to control of the internal wastegate valve. On the N54 engine the wastegate valve is actuated by a short lever which, over time, develops some play in its joint causing the wastegates to remain open when they should be fully closed. The result is boost pressure with either build only partially, or not at all. This problem is often accompanied by a 30FF code for low boost pressure under full load. A wastegate rattle is commonly heard as well due to the wastegate valve not fully closing when it should be. 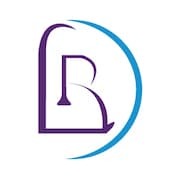 Diagnosing this problem does take some time, lower mile cars can experience boost pressure loss from a leak in the vacuum system actuating the wastegate or a leak in the pressurized intake system. 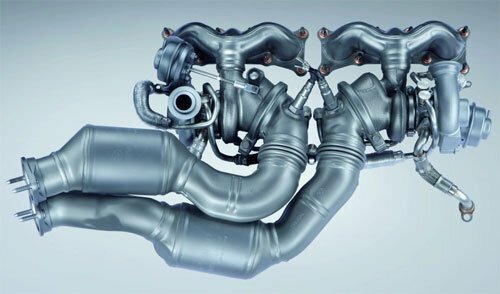 Before turbos are replaced a boost pressure test must be performed to ensure that no boost is leaking out from the intake tract. The vacuum system must also be checked to ensure that the wastegates are receiving the proper level of vacuum required to fully close. The vacuum lines to the wastegates can pop off or the plastic fittings in the plumbing can break. If the car bases the boost leak and vacuum tests then the likely culprit will be the wastegates. 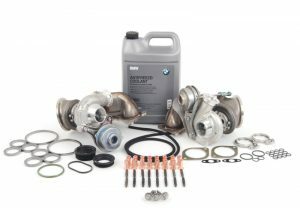 If the wastegates are the problem on your N54 the proper solution is a turbo replacement. Unfortunately this is a time consuming repair due to the inaccessibility of the turbos. We remove the front subframe to gain better acessto remove and reinstall the turbos. Because of this we often suggest that customers replace the oil pan gasket and do an oil change at the same time when having this service done. Doing the oil pan gasket at this time can save quite a bit of money down the road if the pan does start leaking. At the same time we also suggest upgrading the engine mounts to the stiffer 335is engine mounts.If you are in the Orange County area and are experiencing a 30FF Low Boost Pressure code feel free to give us a call or shoot us an email to schedule an appointment for diagnosis on your BMW.